Most Americans will not recognize the names and I would dare say that many do not even know about what happened in Birmingham Alabama 52 years ago today. At 10:22 in the morning on September 15th 1963 a bomb exploded during the worship service at the 16th Street Baptist Church. It was one of the most brazen attacks against a church in the modern era, and men who claimed to be “Christians” committed it. Four young girls, three 14 year olds and one 13 year old were killed. Addie Mae Collins, Denise McNair, Carole Robertson and Cynthia Wesley lost their lives that day. 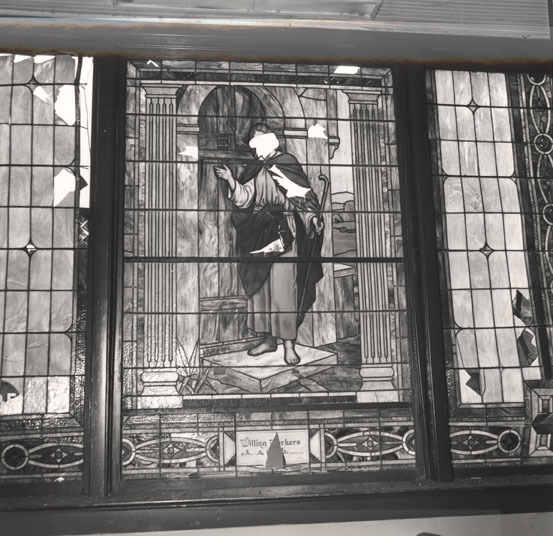 Twenty-two other church members were wounded in an attack, which was carried out by members of the KKK and tacitly approved of by many political leaders including Alabama Governor George Wallace. Why were they killed and why were the others wounded? For the crime of being black and the crime of their church serving as a focal point of the Civil Rights movement. Likewise, most people, including many blacks do not know that before that beginning in 1955 there had been 19 other bombings of black churches and the homes of black leaders in Birmingham before this one. But even before that outbreak of violence, Birmingham had become known as “Bombingham”because over 50 bombing attacks against blacks, black churches and black institutions in the years after the First World War. The attack was a heinous crime and an act of cold-blooded premeditated murder that maybe a number of years before might not have made the news in much of the country. But this was 1963 and over the preceding months of the Freedom Summer opened the eyes of people across the nation to what was happening in the South. The brutal attacks on many blacks, civil rights workers and student volunteers during that time raised the profile of the Civil Rights Movement and shown the ugly hatred towards blacks held by many Southerners hidden underneath the veneer of polite Southern hospitality. Not only was the attack heinous, but, the response of many in law enforcement at the local level and even at the office of FBI Director J. Edgar Hoover was criminal. Hoover refused to investigate, and although a witness identified Chambliss, he was not charged with the bombing; instead he was charged for having a case of dynamite without a permit. He was fined $100 and given a six-month jail sentence. Thought FBI agents had investigated the crime and discovered evidence against all four men, Hoover ordered the evidence not be provided to local or Federal prosecutors. So for eight years the crime was covered up. 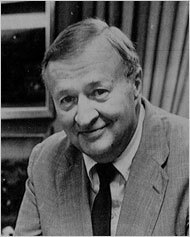 However in 1971 Bill Baxley was elected Attorney General of Alabama. Baxley re-opened the case and requested the FBI files, which had been suppressed by Hoover, who had died in 1972. In 1977 Chambliss was indicted and convicted of first degree murder, he died in prison. Blanton was tried in 2001, convicted of four counts of murder and sentenced to life in prison. Cash died in 1994 with ever having been charged with a crime and Cherry was convicted in 2002, sentenced to life in prison and died in 2004. The attack and the deaths of the four girls served as a catalyst in the Civil Rights Movement. In 1964 President Lyndon Johnson signed the Civil Rights Act. However it did not end the fight for equality, and others would die in its aftermath, including Dr. Martin Luther King Jr. who died at the hands of an assassin’s bullet less than 4 years later. Since the passage of the Civil Rights Act of 1964 and the Voters Rights Act of 1965 many blacks have been elected to local, state and federal offices or served in some of the highest ranks of the military, judiciary, and at the Cabinet level. Two, Colin Powell and Condoleezza Rice have served as Secretary of State, two, Eric Holder and Loretta Lynch, as Attorney General of the United States; one, Clarence Thomas, as a Justice of the Supreme Court; and one, Barak Obama elected as President of the United States. Black sports stars, actors and singers are celebrated as heroes among much of society. But despite these advances, racism is still quite prevalent and getting worse as its proponents, unleashed and unhindered with a supportive President in the White House. One of my former co-workers from Georgia, a white Southern Baptist minister and retired military chaplain noted that many whites may not be explicitly racists in interpersonal relationships with blacks, but have an attitude that blacks still need “to stay in their place.” He noted that he thinks that quite a few believe that many whites believe that this is a large part of the reason that President Obama is opposed and even hated by so many whites. It is not just politics or ideology. While politics may play a role the root of the hatred is racism because I cannot for the life of me imagining any white Democrat, including Hilary Clinton getting this kind of treatment. But the sad truth is there still is an undercurrent of unrepentant racism in the country and not just the South. In fact many places in the South have seen greater advances in racial relations than other parts of the country. That is not to say that there are those who would attempt to disenfranchise blacks, some of the voting laws recently passed are designed to ensure that significant parts of the black population, specifically the elderly and students living away from home have greater difficulty voting. It is actually a more insidious method than past Jim Crow laws because the drafters of these laws hope to keep just enough black and other poor or minority voters from voting to ensure that they maintain power. Some of those who drafted or supported these state laws designed to disenfranchise voters have openly admitted that fact. Not only is racial prejudice experienced by blacks, it is experienced by many Americans of Hispanic origins, some of Asian descent but also by those of Middle Eastern, Iranian, Pakistani or Indian descent. And yes, people of all races, including racial, ethnic and religious minorities can be as racist and violent as the men who bombed the 16th Street Baptist Church 52 years ago. Racism is an ugly part of our human condition and no matter whom it is targeted against, and who does the targeting, it is wrong and needs to be fought. The Southern Poverty Law Center http://www.splcenter.org lists 784 active hate groups of all types operating across the country, including neo-Nazis, Klansmen, white nationalists, neo-Confederates, racist skinheads, black separatists, border vigilantes and others. (See the Hate Map herehttps://www.splcenter.org/hate-map) The number is down from recent because a number of more the virulent White Supremacist and militia groups have gone underground, shut down websites and social media pages. As for me I will fight it no matter whom it is against. Charles Morgan Jr. closed the speech which brought about death threats against him and his family and forced him to leave Birmingham with these words. “Among his many cases as a civil rights lawyer, Mr. Morgan sued to desegregate his alma mater, the University of Alabama; forced a new election in Greene County, Ala., that led to the election of six black candidates for local offices in 1969; and successfully challenged racially segregated juries and prisons. After the civil rights movement began to subside, Mr. Morgan, as a leader of the American Civil Liberties Union, fought three celebrated court cases involving protests against the Vietnam War. We cannot ever let ourselves forget that it was supposedly Christian men who bombed a church and killed those four little girls, and that as long as all of us fail to live up to our responsibilities such things will happen again. If we do not, we are as guilty as those who throw the bombs, shoot the bullets, and those preachers, pundits and politicians who deny the fact that these things are still commonplace. This is especially true in the Trump era. Yes, my friends, we will be at least as guilty as the brazen killers who continue to try to kill the dreams of those who are not like them. As for me, I hope that I will be as committed to stand for the rights of the oppressed and for justice as did Charles Morgan. 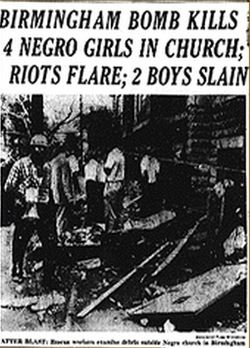 Likewise, most people, including many blacks do not know that before that beginning in 1955 there had been 19 other bombings of black churches and the homes of black leaders in Birmingham before this one. 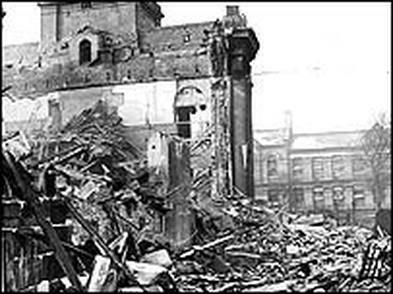 But even before that outbreak of violence, Birmingham had become known as “Bombingham” because over 50 bombing attacks against blacks, black churches and black institutions in the years after the First World War. But despite these advances, racism is still quite prevalent. One of my former co-workers from Georgia, a white Southern Baptist minister and retired military chaplain noted that many whites may not be explicitly racists in interpersonal relationships with blacks, but have an attitude that blacks still need “to stay in their place.” He noted that he thinks that quite a few believe that many whites believe that this is a large part of the reason that President Obama is opposed and even hated by so many whites. It is not just politics or ideology. While politics may play a role the root of the hatred is racism because I cannot for the life of me imagining any white Democrat, including Hilary Clinton getting this kind of treatment. The Southern Poverty Law Center http://www.splcenter.org lists 784 active hate groups of all types operating across the country, including neo-Nazis, Klansmen, white nationalists, neo-Confederates, racist skinheads, black separatists, border vigilantes and others. (See the Hate Map here https://www.splcenter.org/hate-map) The number is down from recent because a number of more the virulent White Supremacist and militia groups have gone underground, shut down websites and social media pages. We cannot ever let ourselves forget that it was supposedly Christian men who bombed a church and killed those four little girls, and that as long as all of us fail to live up to our responsibilities such things will happen again. If we do not, we are as guilty as those who throw the bombs, shoot the bullets, and those preachers, pundits and politicians who deny the fact that these things are still commonplace.